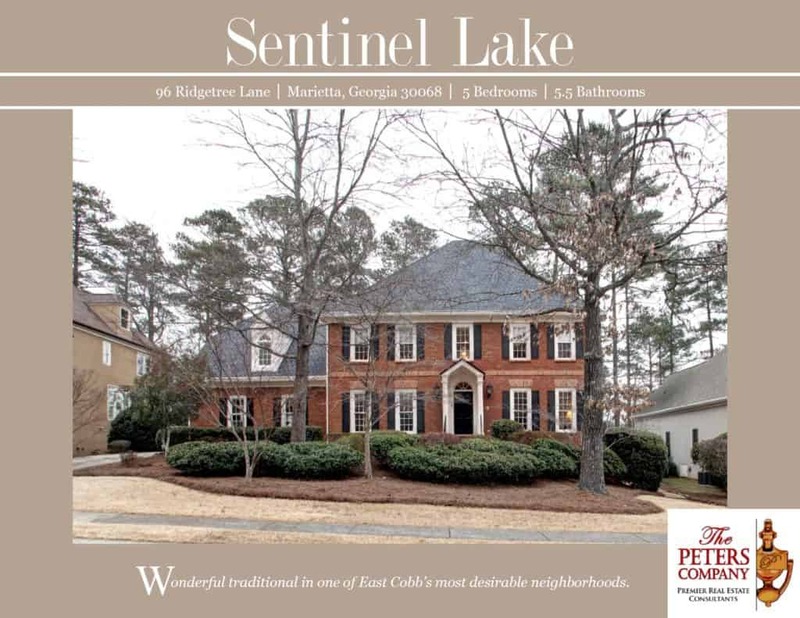 Just Listed :: Gorgeous Traditional in East Cobb's Sentinel Lake! Welcome home! Nestled in the popular Sentinel Lake swim and tennis neighborhood, this home is just what you’ve been looking for. The flowing floor plan, custom features, and charming character of this home will never go out of style. Being close to I-285 and I-75 makes virtually all commutes a breeze. You’ll also have easy access to the highways, byways, and activities that make this location such a well loved destination! Being in this popular area of East Cobb means you can enjoy many nearby restaurants and shopping spots too! Large eat-in kitchen features tons of cabinet space, granite counters, island, spacious breakfast area, and walk-in pantry. The formal living room has French doors leading to a wet-bar that connects to the family room. Large family room has built-in bookcases and cozy fireplace. The master bedroom is a true retreat including a trey ceiling, fireplace, sitting area, and built-in bookcases. The spa-like master bathroom features dual vanities, jetted tub, and separate shower. Additional bedrooms are well-sized and have private bathrooms. Full finished basement boasts a bedroom and full bathroom along with additional living and storage space. Laundry room conveniently located upstairs! Enjoy the private backyard from the large deck.